'Twas the night before Halloween - Halloween's een perhaps? when I first heard the ghost of Ramsey Lewis's version of Nights in White Satin in the cadences of Tina Turner's We Don't Need Another Hero. Or was it the other way round, I wonder? Had time's arrow changed the perspective? As I hummed the stately theme that the violin led in Lewis's take on the tune (from his 1973 Funky Serenity album), I couldn't help but start interposing Tina's voicing of the lyrics "And I wonder when we're ever gonna change / living under the fear 'til nothing else remains". In my trance, the songs seemed separated at birth. How could it be? It was a musical puzzle, what made these anthemic songs congruent? How was it that the limpid and ethereal jazz piano seemed to mesh so well with the soulful and bluesy minor chords that powered that Eighties b-movie soundtrack. When you DJ, you are attuned to beat matching and to hearing samples everywhere. This wasn't quite a sample, the songs are in different genres, but it was something in the mode, something in the mood, and in the voicing of certain phrases that drew me to connect them. Well listen for yourself, perhaps you'll hear what I heard. Consider Ramsey Lewis's Nights in White Satin (1973) in Tina Turner's We Don't Need Another Hero (Thunderdome) (1985). 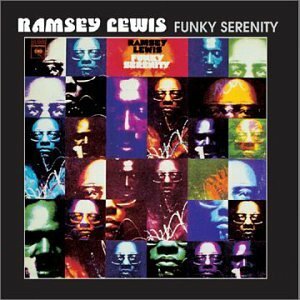 For Ramsey Lewis, Nights in White Satin was on the serene side of Funky Serenity. At that point in his career, he was in the middle of his journey from soul jazz pianist to the cosmic and electric jazz funkateer that his is most remembered as - most notably the Sun Goddess edifice that Earth, Wind and Fire helped him build. In this mode, he would throw in some traditional nods to bop and take a turn towards the Silent Way that Miles Davis had pointed to. Nights in White Satin is a cover tune that starts with some abstract free jazz stylings before settling down for the interpretation. Ed Green's violin intertwines with Lewis's subtle piano and create a jazz twist to the pop tune. We Don't Need Another Hero of course was a great emblem of the MTV era, a song more heard, and a video more seen, than the film it was intended to promote, Mad Max Beyond Thunderdome. Tina Turner in her Private Dancer era was a superstar. The rock and soul legend had crossed over into pop iconhood finally selling the millions she deserved after paying her dues with Ike. The Live Aid performance at the side of Mick Jagger was an apt coronation. But back to the song, whose mournful quality is in the vein of wist. It is propelled by a slow building soulful groove and a voice tinged with experience that underlies everything (I consider Ike and Tina as the musical equivalent of Richard Burton and Elizabeth Taylor). She tops it off by inviting a child choir to sing the chorus and take it down a gospel path by way of Oliver Twist. I started inventing a scenario that connected some dots. The idea was that the members of The Crusaders, Joe Sample and Wilton Felder, who produced Tina Turner during her Private Dancer peak used to play with Ramsey Lewis (indeed I had heard them share a stage fairly recently) and were drawing on those memories as they came up with the groove. Alternately these days you can use an app like Boil the Frog and get from Ramsey Lewis to Tina Turner in a mere 7 artists (George Duke, Al Jarreau, Randy Crawford, Dionne Warwick, Diana Ross). This algorithmic journey adds weight to my surmise (Randy Crawford was a member of The Crusaders). Again though, this is all in the vein of post-hoc speculation.
. The other, gave a more technical assessment. Both of the songs are in minor keys, and I suspect they are in some kind of mode... Anyways, I think something else you might be hearing is the fact that both of these songs have cadences that land of the VI chord (if you are in the key of A minor, where I is A, the VI chord is the triad built on F, a note a third below the the root, A), and the I-VI cadence gives off a certain sense of starkness that you definitely hear in both pieces. Other similarities... both melodies start with accompaniments that oscillate between just two chords a couple times before moving on to other harmonies (although they are different sets of chords in each case). Also, both accompaniments make use of open fifths, especially in the bass (imagine a basic 3-note triad/chord without the middle note, so without that warm or even "cheerful" color, a lack which makes it sound very open and stark). The melodies seem different to me (maybe I'm missing something?) but they do both have similarly short phrases, kind of like poems in the same meter. And they dance around some of the same 3-note melodic phrases (because of the similarities in harmony). I happen to love the I-VI cadence, and open fifths, and the dark/honest color they bring. And, yes, it's those dark keys that move me. 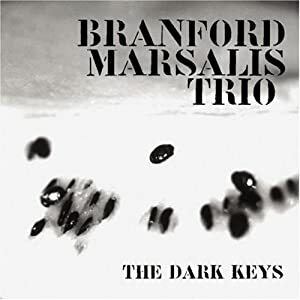 I'm reminded of an entire Branford Marsalis album recorded in the same mood, an album I played to death as the millennium turned, tense at once and filled with a great longing for serenity. What I find interesting is that I don't get the same frisson from the original version of Nights in White Satin by The Moody Blues in 1967. Written by Justin Hayward, it has the same Gregorian chant after all that I drew me in. I suppose this is what makes music essential and why one should never dismiss a cover song. Performance is everything and musicians can draw you in different directions. From piano jazz to pop/soul to folk rock, these songs, and indeed these musicians, embrace the dark keys. Music is still that social balm. I love these minor keys.